We started the game well, but then Salamanca took over in the second quarter, and we couldn't turn the game back our way in the end in a thriller. Aleks got the game going from downtown, she scored twice in a row to give us a commanding lead early on (3rd minute 6-0). Later Zs�fi added two more points to our total to push the team even further ahead. The Spanish were still unable to crack our defense, while at the other end we kept attacking. When Amanda attempted a three, she got fouled in the act of shooting and won three free throws for herself while forcing the first away time-out (5th minute 8-0). After the short break she managed to convert all of the awarded foul shots giving us a double-digit lead (11-0), but then Arrojo finally buried the first basket for the guests, to which she later added a triple as well, cutting her team's deficit in half. Then Aleks and Dominguez exchanged baskets, followed by a double by Queralt. The Spanish were on a 9-4 run, which made Roberto Iniguez call his team to the bench to talk things over (8th minute 15-9). Zs�fi came up with a quick basket after the short pause, to which Dominguez answered back with a triple, to which Robinson added a three-point play, and When Elonu ran down the court for a lay-up the score was tied (10th minute 17-17). Givens opened the second quarter with a two-pointer from mid-range to give her team the lead for the first time in the game, and then she added one more to secure it. We needed almost three minutes in the period for our first basket which was scored by Queralt off a nice assist from Zs�fi. Elonu came up with a three-point play for Salamanca which marked an 8-2 run by the guests forcing our next time-out in the game (14th minute 19-26). Following a triple by Loyd, it was the guests' turn to pull away with a double-digit margin (19-29). which they almost doubled in a couple of minutes (17th minute 21-39). Then came Amanda putting an end to this insane scoring run with a triple. In the last minute of the period the difference in favor of the away side has reached twenty points, but then Queralt had the last say in the half with a buzzer-beating triple taking a little bit of the margin away (20th minute 29-46). Amanda began the second half with two successful shots from the line, to which Robinson answered back with a mid-range double, and then Gil also scored two. Amanda made a quick lay-up to bring us a step closer, and then Queralt also scored from a penetration move. After a nice defensive effort Aleks made a triple to get back in sight, but then the guests also managed to score (25th minute 38-52). After that the teams were advancing head-to-head, neither side was able to have an impact on the difference. That is when Amanda buried a huge triple reducing the gap to eleven points and waking up the home fans, but then Dominguez also scored. Candice hit a mid-range double from the side. When Salamanca were unable to score for a while they called a time-out to talk things over (47-58). After the break we managed to reduce the gap into the single-digit region with a double by Betti, which set the score for the quarter at a nine-point deficit (49-58). 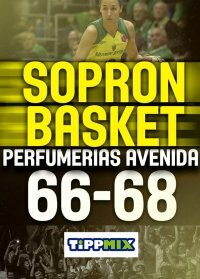 Salamanca began the final stage o the game with a double, to which Zs�fi answered back with two successful shots from the line. Then Aleks made a close shot off the assist by Queralt, to which she added a spectacular shot from downtown forcing the next time-out for coach Ortega (56-60). After the break Candice made a shot fro two from just inside the three-point line, to which the Spanish answered back with a three. Betti made a lay-up off the assist by Yvonne to reduce the difference to a single basket (35th minute 60-63), and in our next offense they copied the previous one, coming back down to a single point margin! What's more, with a mid-range double by Candice we took over the lead again (64-63)! Dominguez equalised with a free throw, but then Candice made another lay-up to regain the lead. Robinson tied the game back up, but then Elonu managed to score again, forcing our next time-out in the game (38th minute 66-68). In the last two minutes we rtried everything to turn the game our way but neither side was able to score, which meant that we lost a crucial game by two points in the end (40th minute 66-68). Roberto Iniguez: We didn't deserve to win based on how we played in the second quarter. We came back after the break, but playing on the level necessary for only 20-25 minutes you cannot win a game. We have to learn from this defeat! It is sometimes the best teacher! I guess we are thinking too much about tasks ahead of us instead of going game-by-game, like we did last year. We have to recover that mentality again. We have to advance from practice to practice, from day to day, game to game. Everyone on the team has to understand that. This is the most important thing to know! Miguel �ngel Ortega: I am very happy to return to Salamanca, to the Euroleague with a victory! When we have god energy, we can play very well. Whenever is it lower, the quality of our game also decreases. What matters is that in situations like this we shouldn't lose faith, and focus, just keep pushing forward. That is what resulted in a win today. Aleksandra Crvendakic: We started the game well, but then something happened. We performed badly both on defense and on offense. We tried to come back, but it is hard to erase a 17-point deficit. We have to stay positive, focus on the next game and fix our mistakes. Jewel Loyd: We started slowly, but later we found energy on offense, and started moving around better. 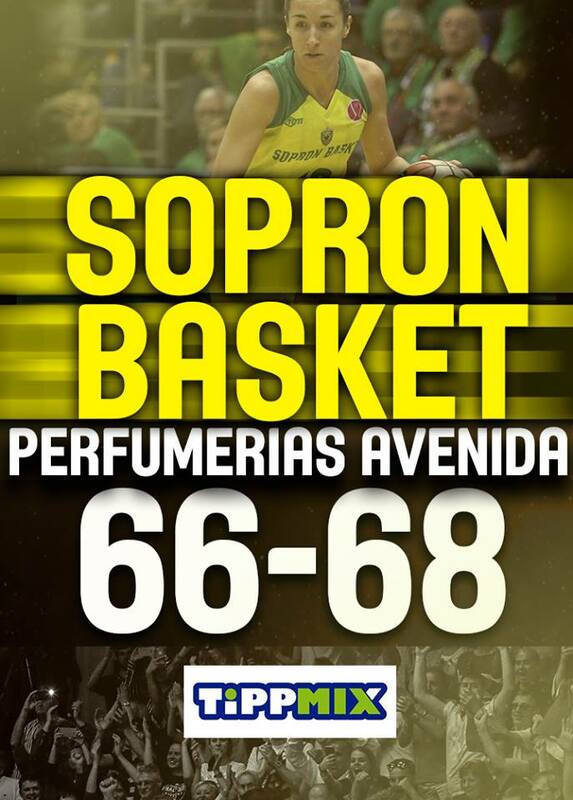 Sopron worked well after the half-time break, but we came out on top in the end.